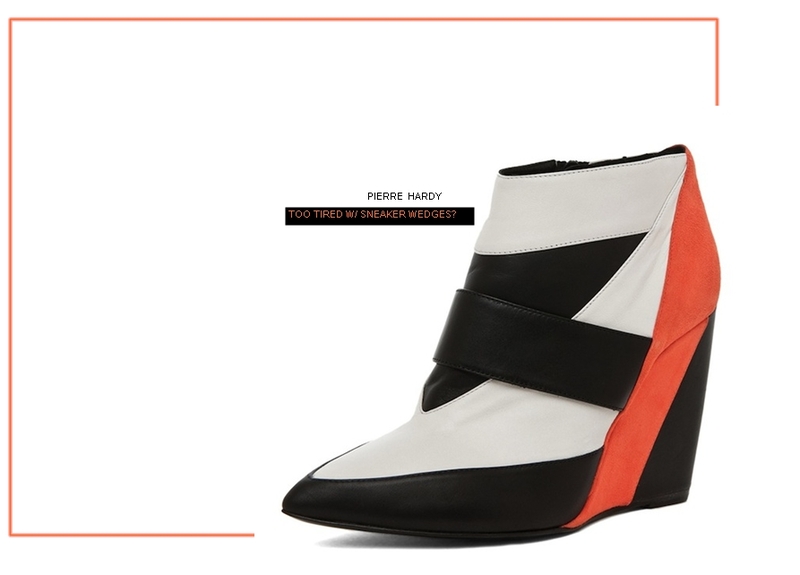 Pierre Hardy is one of my favorite shoe designer in the "unique trendy wearable" category. Always fresh , always forward , always copied. Why.is.he.so.good!?? 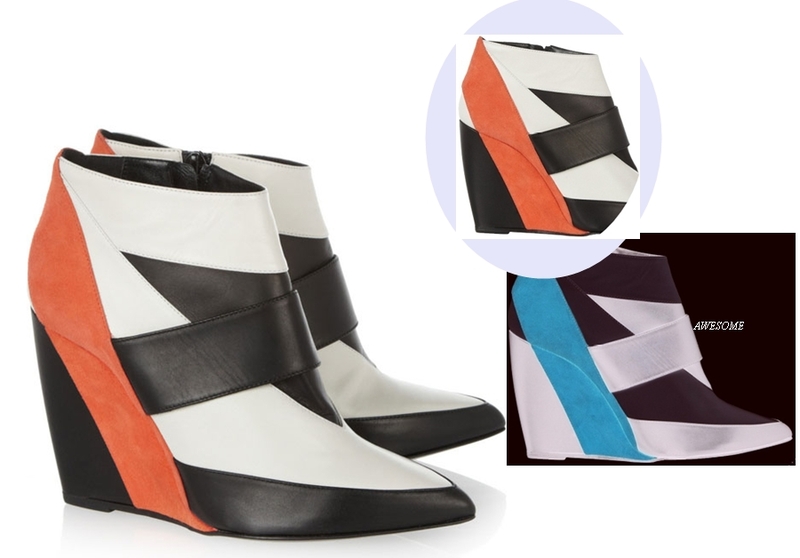 Take this sporty shoes for example! I think it's an icebreaker from the evident sneaker wedge apocalypse. I wonder what other colors will be released in this style. We (Gold Dot) have received a lot of requests to make sneaker wedges but I guess it would be more okay to make a version of your own while touching trends one at a time. i'm still looking on Google.com if there are already people wearing them. I wanna see. i wanna be jealous. Would feel right at home in Balenciaga.